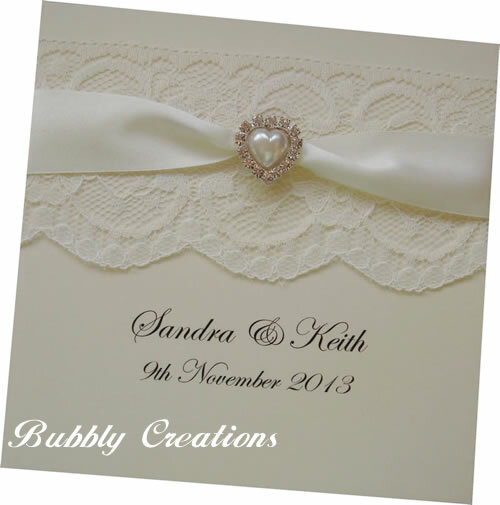 We have quite a few designs that cater for different wedding themes and thought it would be a good idea if we tried to showcase each one with some extra pictures. 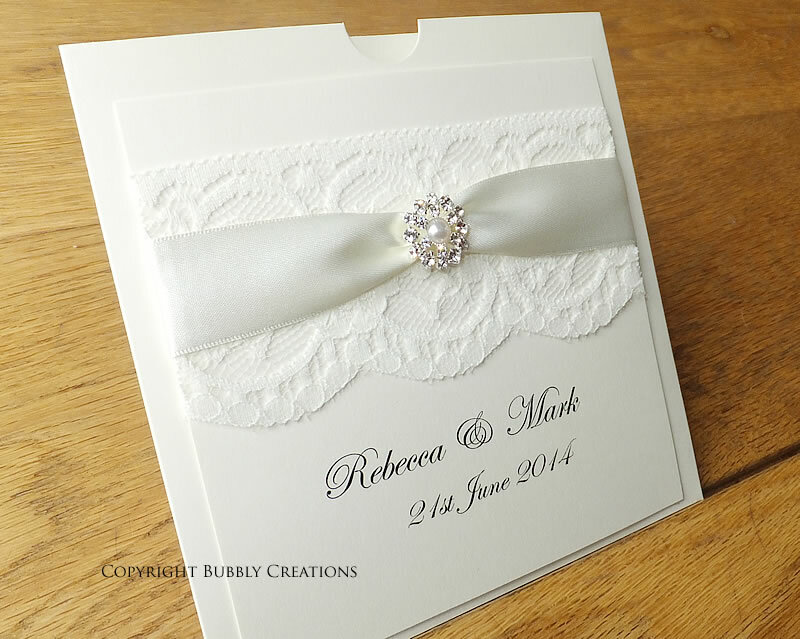 First to be showcased is our Prestige design which is perfect for those romantic vintage themes. 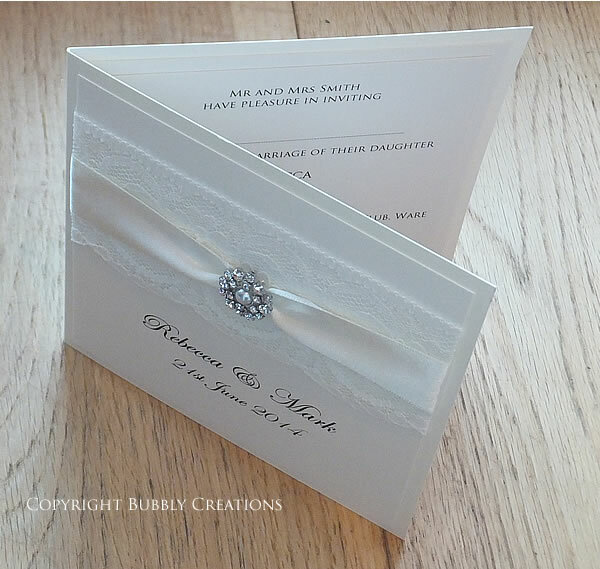 I love all the Vintage style invites with the lace, pearls and neutral colours and this is one of my favourites, so where better to start. 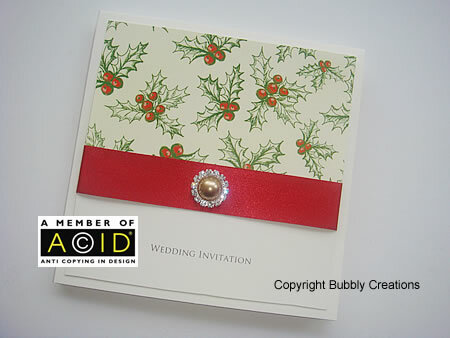 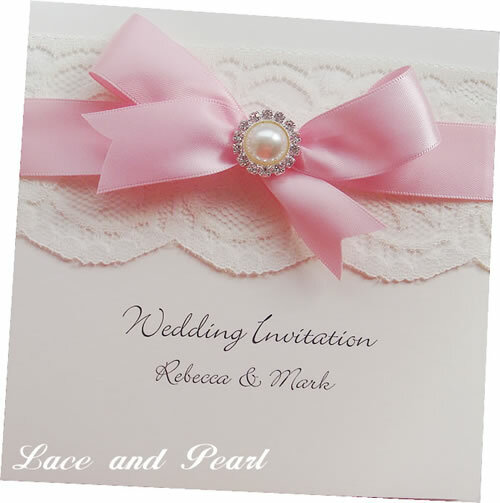 We sourced wholesalers for the ideal to lace to use on this design as we wanted it to be large enough to fill up the card, but not too detailed that it took away from the pearl and crystal embellishment. 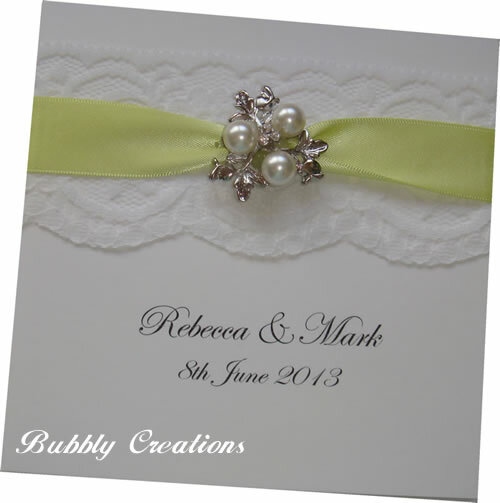 We have a huge supply of luxurious satin ribbon colours for you to choose from so this design can be made in any colour way. 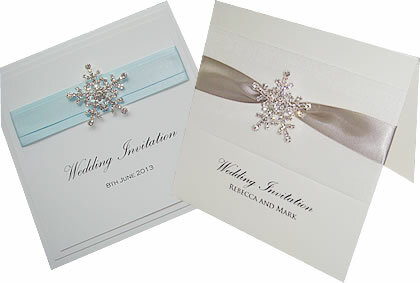 The Prestige design is available as a Pocket (RSVP card included), Wallet, Folded or Flat style card and the price includes an envelope. 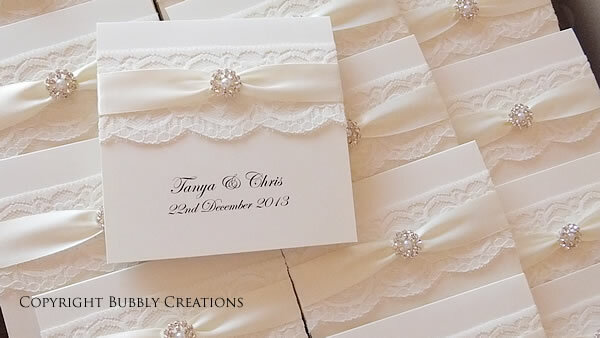 For more information and full price list please visit our Prestige design page.